On the Second day of December, we are traveling to San Fransisco, and are able to explore the Great Dickens Christmas Fair. How would you feel if London all of a sudden moved to a different continent? Having been to London a lot this year I am really intrigued to see what the London replica would be like. I find it fascinating to see how the different Traditions are all becoming a melting pot of a lot of traditions from many different countries. 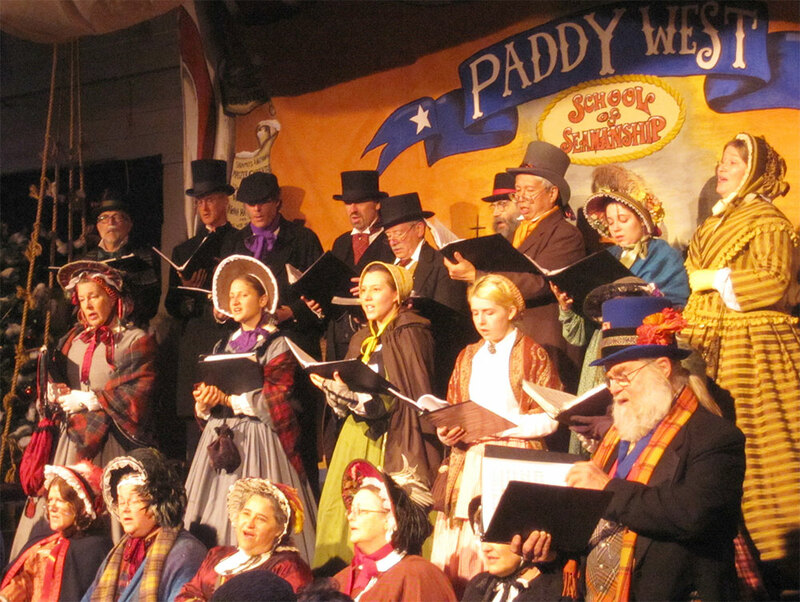 Have you heard of the Great Dickens Christmas Fair in San Fransico? Our Guide for the day is Amber Alexander, and I am really excited she wanted to be a part of this event. What makes Christmas special to Amber? To me, Christmas is special because it brings together family, food, and tradition. It’s not just a single day, it’s a season of happy memories. Located in San Francisco, the Great Dickens Christmas Fair is an indoor holiday festival based on Charles Dickens’ Victorian London. Its winding halls are filled with characters from his books, unique shops, and delicious British food. It is the perfect event for the holidays. Filled with attendees in Victorian-themed clothing, you’ll see gentlemen in top hands or kilts and women in elaborate corseted dresses. But being in costume is completely optional, you will be welcomed with whatever you wear. Throughout this replica of London, you’ll be able to shop in dozens of little stores. It has everything from hand-made Christmas decorations, unique children’s toys, to beautiful jewelry and costumes. There is even a wand shop for the Harry Potter lovers. There is so much to see and do, I didn’t have time for it all. I listened to battle plans from a commander, had a bout of “Scarlet Fever”, and saw Ebenezer Scrooge with one of his Christmas Ghosts. I’ve enjoyed the fair so much that I’ve returned to the event several years in a row. The fair is kid friendly as well as wheelchair accessible. Throughout this replica of London, you’ll be able to shop in dozens of little stores. It has everything from hand-made Christmas decorations, unique children’s toys, to beautiful jewelry and costumes. There is even a wand shop for the Harry Potter lovers. There is so much to see and do, I didn’t have time for it all. I listened to battle plans from a commander, had a bout of “Scarlet Fever”, and saw Ebenezer Scrooge with one of his Christmas Ghosts. I’ve enjoyed the fair so much that I’ve returned to the event several years in a row. The fair is kid friendly as well as wheelchair accessible. Read more about The Great Dickens Christmas Fair. Have you heard of the Great Dickens Christmas Fair? To get all the details head over to Amber, and she will be your personal guide through a different time, and a Christmas Tradition she felt was worth sharing.